Crop Circle Tours--What Are Crop Circle Crystals? What Are Crop Circle Crystals? As I've written and spoken about before, crop circles often seem to have a mysterious energy associated with them that affects batteries, cameras, and other equipment. Sometimes this energy is strong enough that you can feel it with your body. It's like the crop circle has its own mysterious energy field. No one has yet identified exactly what this energy is, but's powerful enough to affect your electronic stuff. Sometimes your equipment never recovers from the encounter. Why does this happen? From my perspective, the crop field acts like a lattice and the crop circle is actually a "phase transition" that introduces a type of "coherent distortion" into the grain field thus allowing it to act like a wave guide. The crop circle, by virtue of its symmetry and geometric precision, is a tuned interface between the Earth and the larger cosmos. So basically, the shape of the circle allows it to guide energy in novel ways. Some of these effects can be seen in these pictures from various crop circles. So it's possible that crop circles have some of the the properties of crystals and so are able to transform natural energy from one form to another through the action of resonance. As crystals are able to exchange energy and frequencies, we are now bringing quartz crystals into crop circles in the U.K. so as to charge them with the energy of the circles. 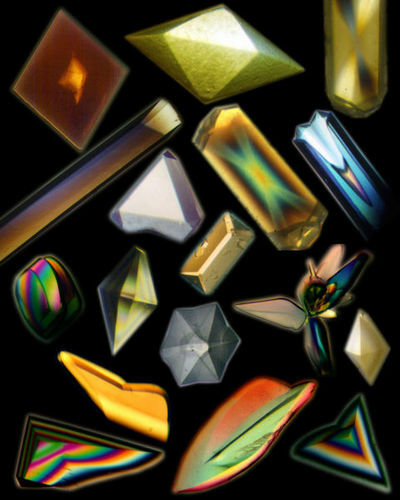 This is consistent with the theory of epitaxy, whereby crystals cause other substances to spontaneously take on their shapes. We'll bring each crystal into a specific crop circle for a minimum for 60 minutes so as to expose the quartz to the that crop circles frequencies. Then, you'll be able to enjoy these crop circle energies for a long time in a covenient, portable form. Starting in August 2010, crystals from our 2010 tour will be available for purchase. Learn more here.